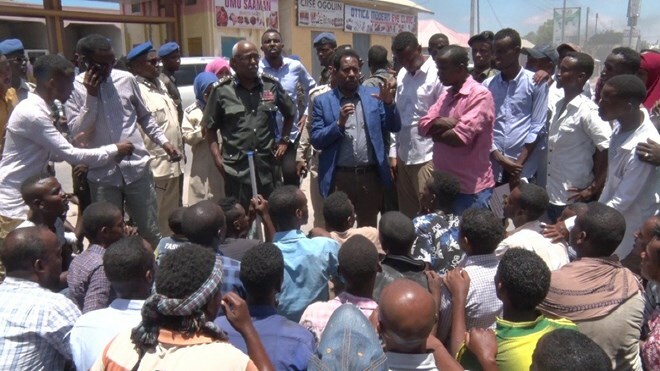 Mogadishu:Hundreds of demonstrators descended on Mogadishu streets on Saturday to protest the shooting death of an auto rickshaw (bajaj) driver and his passenger by a policeman. 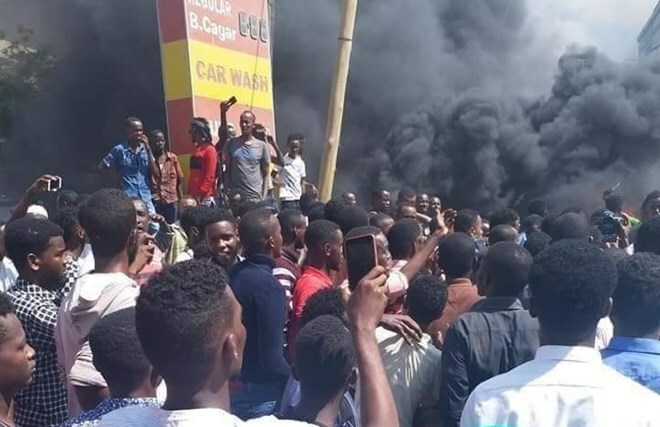 According to residents, the shooting happened at Bakara intersection. The bajaj driver was ferrying a client when the policeman opened fire, killing two of the vehicle’s occupants. The officer allegedly fled the scene immediately after the shooting.